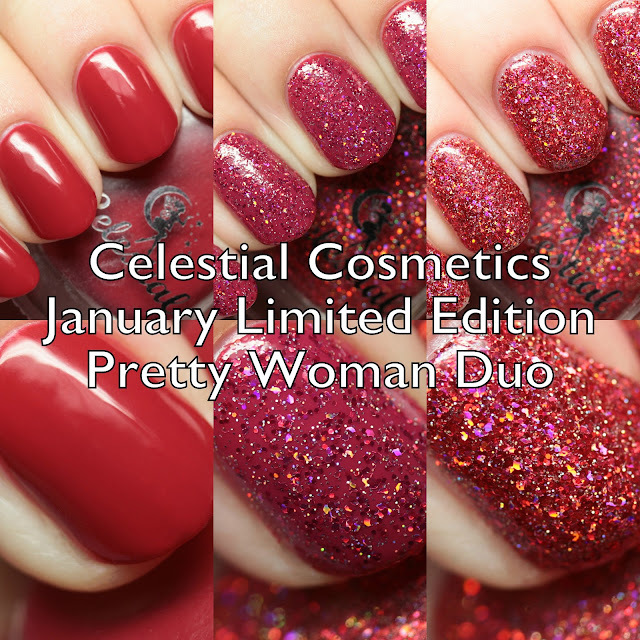 This January, Celestial Cosmetics released a limited edition duo that is perfect for Valentine's Day! 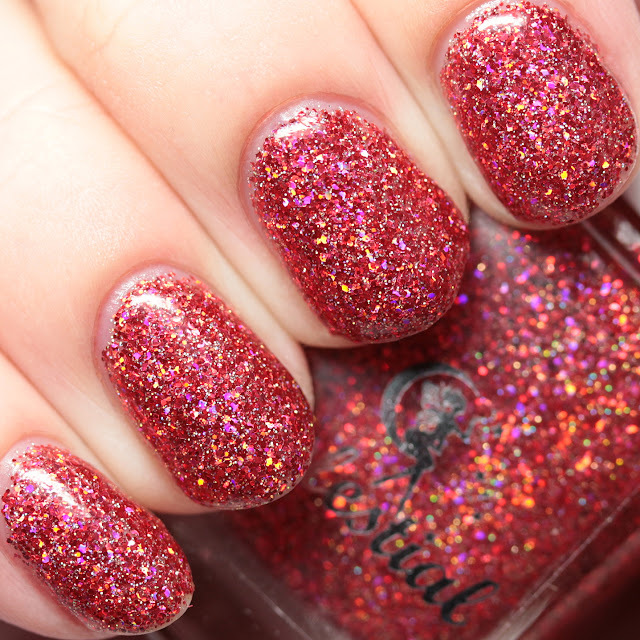 The Pretty Woman Duo is inspired by the movie of the same name and has a creme-jelly and microglitter in complementary reds. Let's have a look! 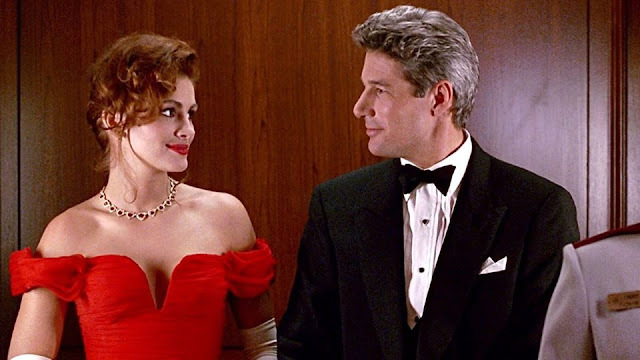 The color scheme is inspired by the dress worn by Julia Robert's character in this pic, a classic red with matching lipstick. 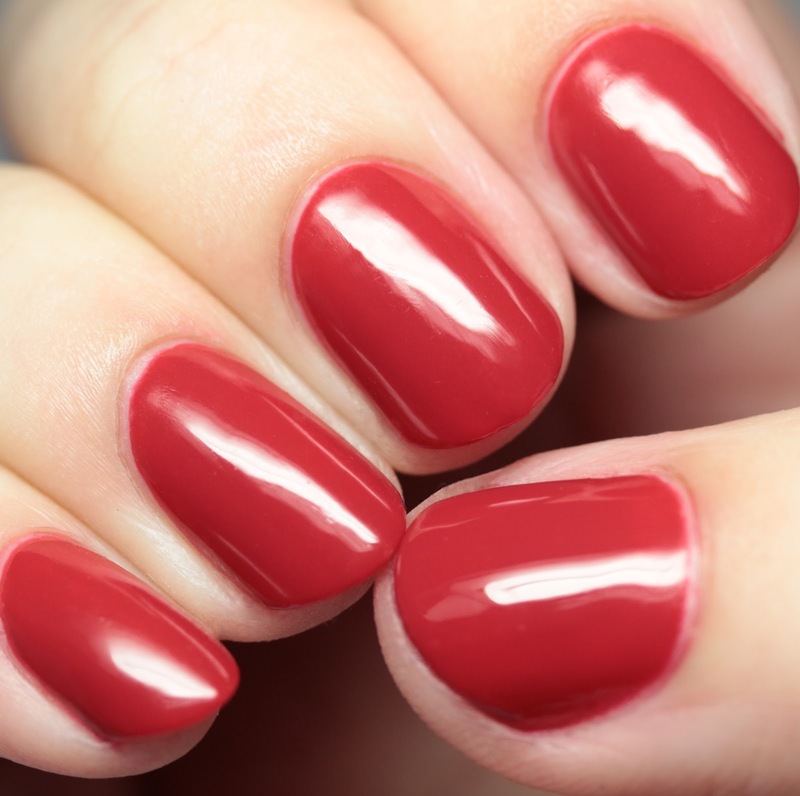 LE Pretty is a brick red creme jelly that is opaque in two or three thin coats. 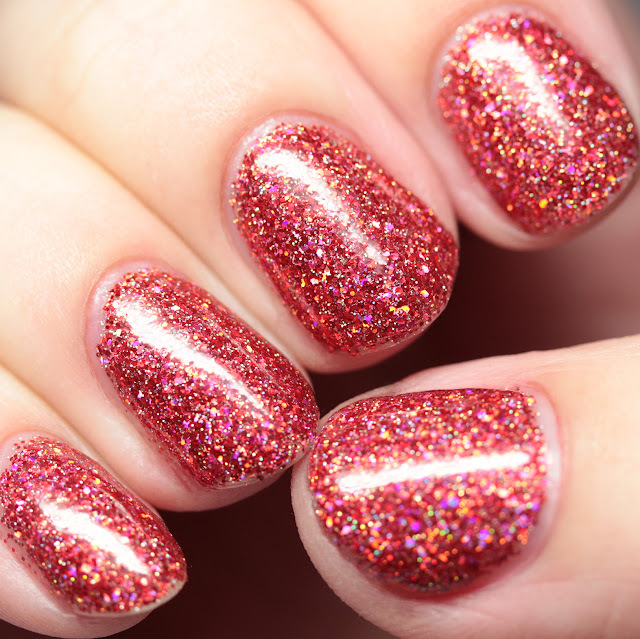 It has a stellar formula, dries quickly and remains super-shiny. It can be worn underneath LE Woman, the glitter topper, shown here in one coat over LE Pretty. 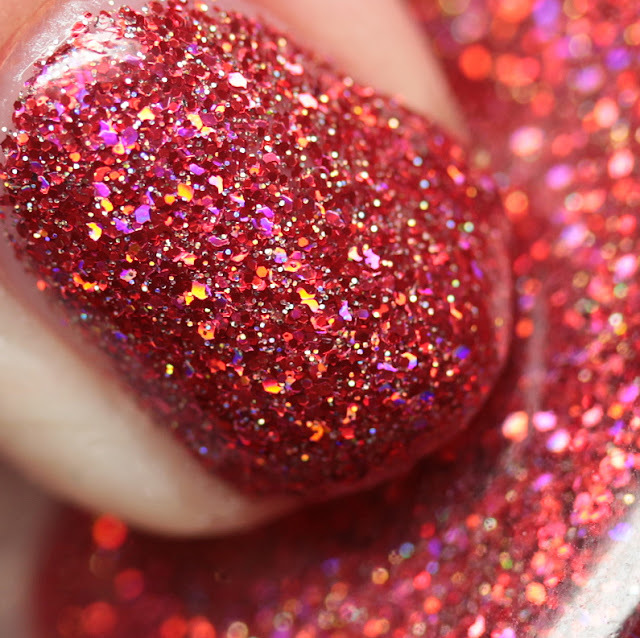 LE Woman has gold, red, and holo fuchsia microglitters in a clear base, shown here in four coats, but three are enough. 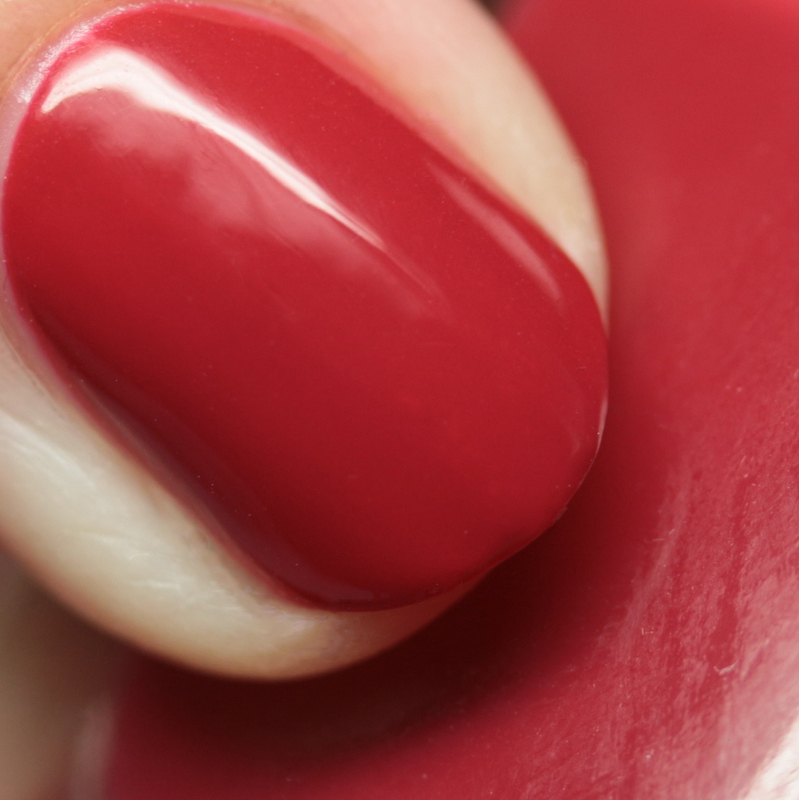 It smoothed out fairly well with a couple layers of top coat. I wore it with a peel-off base. 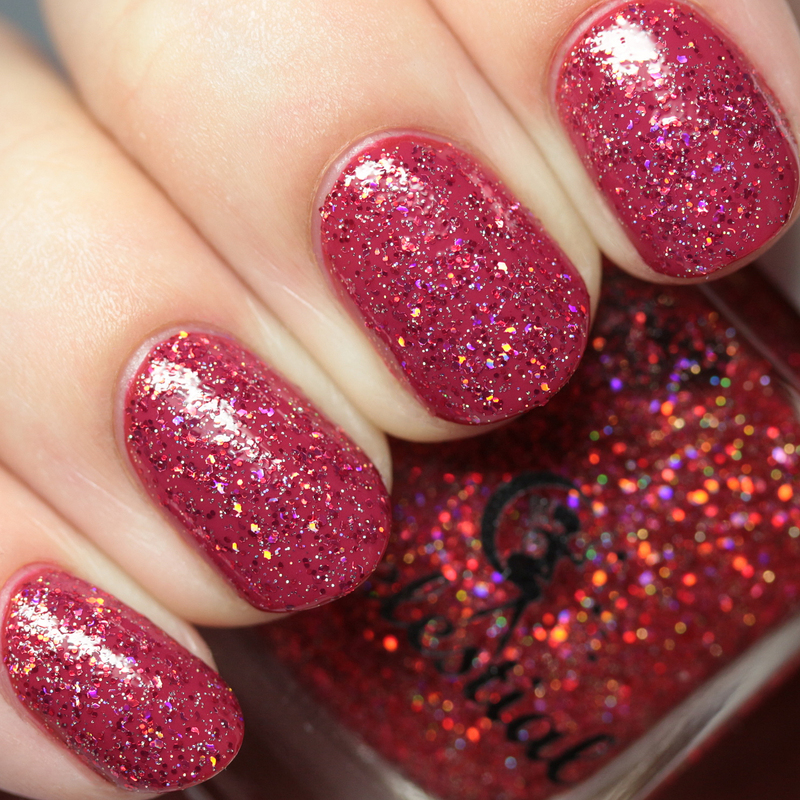 The January Limited Edition Pretty Woman Duo is available now separately in both the US and Australian shops. How do you like this pairing? 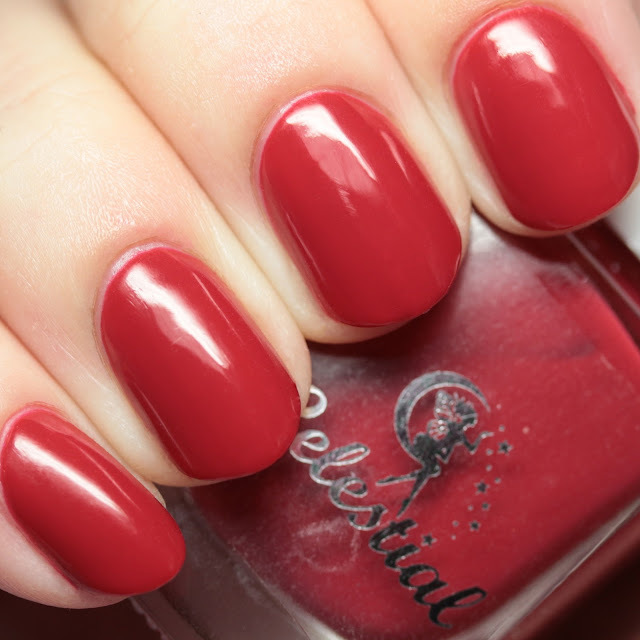 Are you feeling the love of a classic red duo for Valentine's Day?